Houlihan & Associates is a boutique law firm practicing almost exclusively in the area of environmental law. The principal practictioner is Patricia Houlihan; Patricia puts together teams of lawyers and where necessary other experts, to carry out work as required by her clients. This model for provision of environmental legal services gives her clients access to a high level of environmental legal expertise, at a reasonable cost. Patricia was called to the Bar in 1990 and has practiced environmental law since that time. Her career has been divided among work with McCarthy Tetrault, one of Canada’s largest law firms, West Coast Environmental Law, Canada’s oldest environmental law firm, and Houlihan & Associates, Environmental Legal Services. 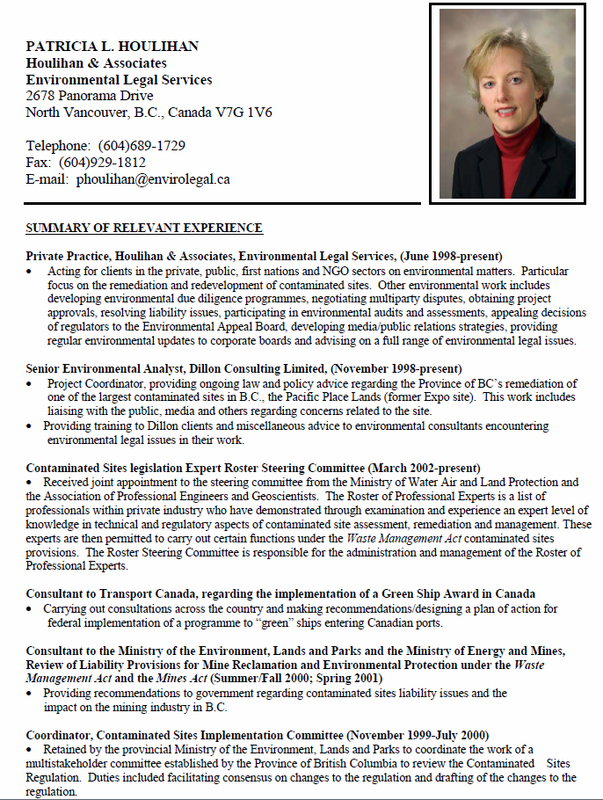 She has an international reputation as one of Canada’s leading environmental lawyers as has been recognized as such by Lexpert. 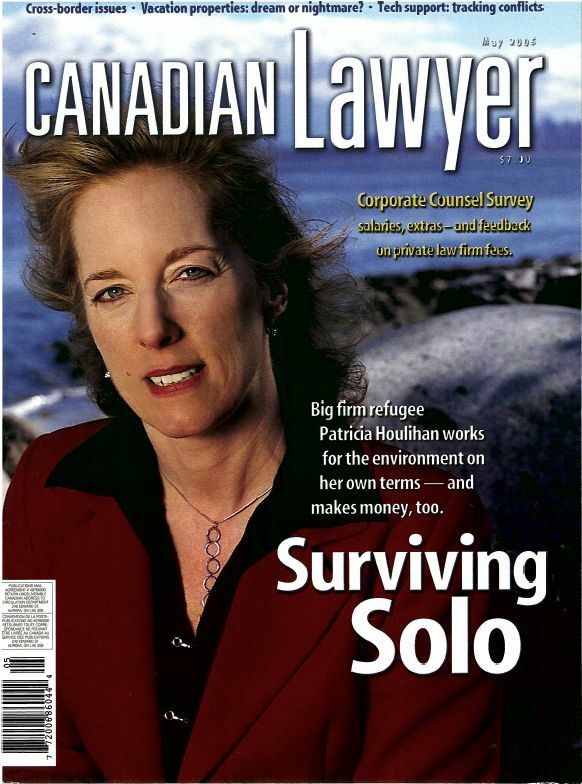 She has also been featured on the cover of Canadian Lawyer Magazine in a feature article focusing on her boutique firm and is recognized in the Global Directory of Who's Who for her legal accomplishments.